Slate’s Culture Gabfest on Jurassic World: Fallen Kingdom, Nailed It!, and the Scarlett Johansson trans casting controversy. Listen to Culture Gabfest No. 512 with Stephen Metcalf, Dana Stevens, and Julia Turner with the audio player below. On this week’s Slate Plus, Dana, Julia, and Stephen explain whether they prefer baths or showers. This week, the critics discuss Jurassic World: Fallen Kingdom, the latest installment in the Jurassic Park film series, directed by J. A. Bayona. How does the movie hold up when compared with the rest of the franchise? 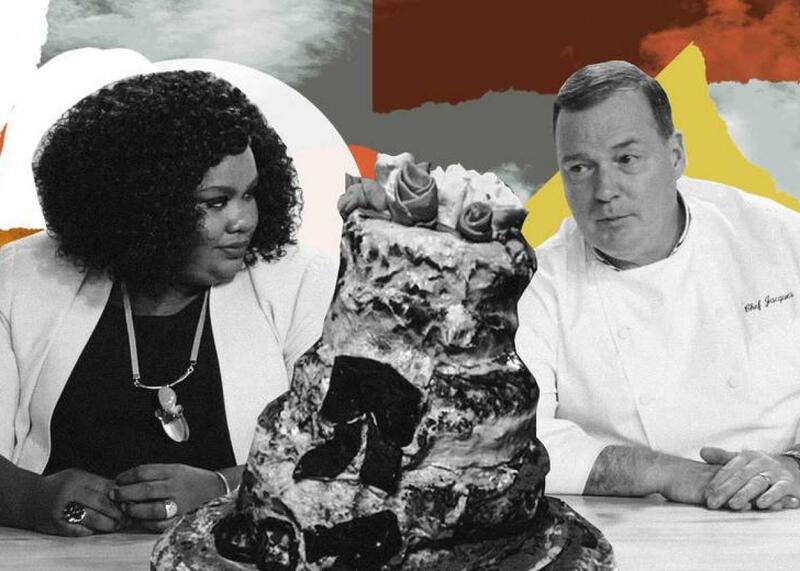 Then, the gabbers turn to Netflix’s baking show Nailed It!, examining how it treats classic reality TV tropes and debating whether it’s mindless fluff or a bona fide postmodern masterpiece. Finally, Slate’s Evan Urquhart joins the panel to unpack the controversy surrounding Scarlett Johansson’s casting as a trans man in the upcoming movie Rub & Tug. This podcast was produced by Benjamin Frisch.